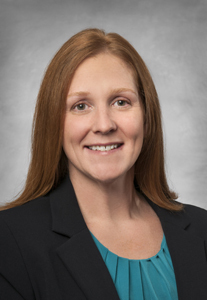 FirstEnergy Corp. said on Tuesday that its board of directors has elected Jennifer Geyer assistant corporate secretary. Geyer will take over the position on Dec. 27, replacing Edward Udovich, who is retiring. "I am confident that Jen's experience, knowledge and leadership will help ensure a smooth transition in this important role," Rhonda Ferguson, vice president, corporate secretary and chief ethics officer, said. "At the same time, I thank Ed for his valuable contributions to FirstEnergy. During his nearly-40-year career, he guided shareholder processes and annual meetings through three mergers, and he was responsible for many subsidiary, board of directors and corporate-governance activities." Geyer currently serves as corporate manager, overseeing the administration of trading compliance, regulatory filings, governance matters and equity-compensation plans. Geyer has worked for the company since 1996, starting off in the Marketing Information Center. She earned a bachelor’s degree in sales and marketing from the University of Akron and a master’s degree in business from Malone University. The company said fellow Assistant Corporate Secretary Daniel Dunlap will continue in this role. FirstEnergy provides services in the energy industry in multiple areas, including distribution and generation.